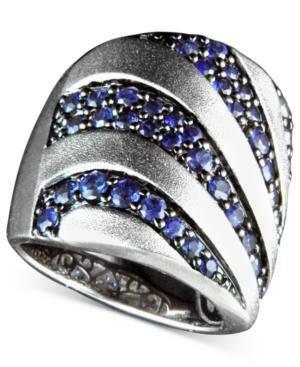 The beautiful hue of deep navy won't give you the blues with this chic ring. Balissima by Effy Collection design crafted in sterling silver with round-cut sapphires (2-1/3 ct. t.w.). Size 7.